Happy Chinese New Year everyone!! I'm soo excited to celebrate the New Year again!! I wish you all to have good health, happinesses, fortune and fantastic job prospects for this lunar year!! 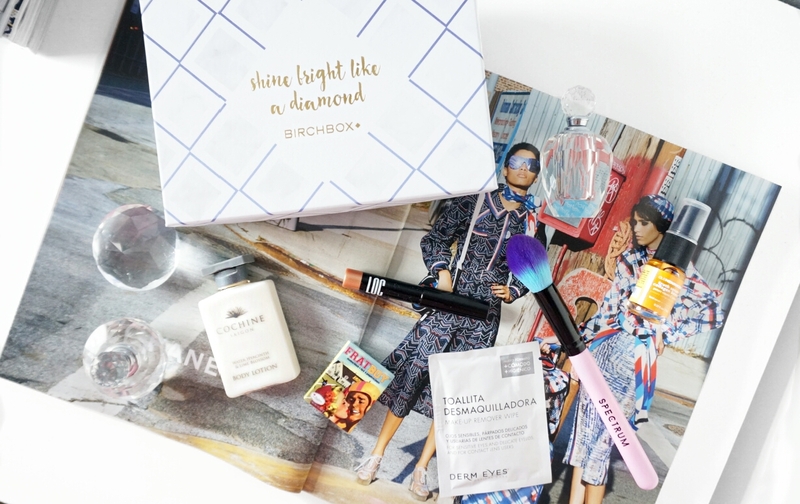 And back to the post: 'shine bright like a diamond' is this months Birchbox concept, all to do with Birchbox launching their own in-house make up line starting with shadow sticks. We received an email earlier on to select which shade we wanted in our February Birchbox with the choice of a silver shade called Champagne Problems or the golden shade called Perfect Cents. 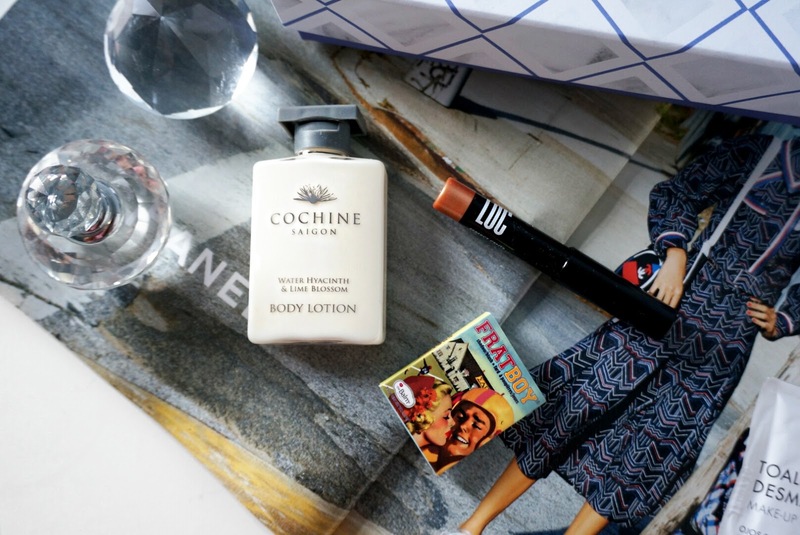 The first three items are a sample of the Cochine Water Hyacinth & Lime Blossom Hand & Body Lotion, which contains shea butter and aloe vera to hydrate your skin. theBalm's Frat Boy eyeshadow/blusher which has a beautiful rosy pink tone and a Shadow Stick in the shade Perfect Cents created by BirchBox called LOC (Love of Colour) which it to provide a creaseless and waterproof 11 hour wear time (pretty impressive and incredible creamy). 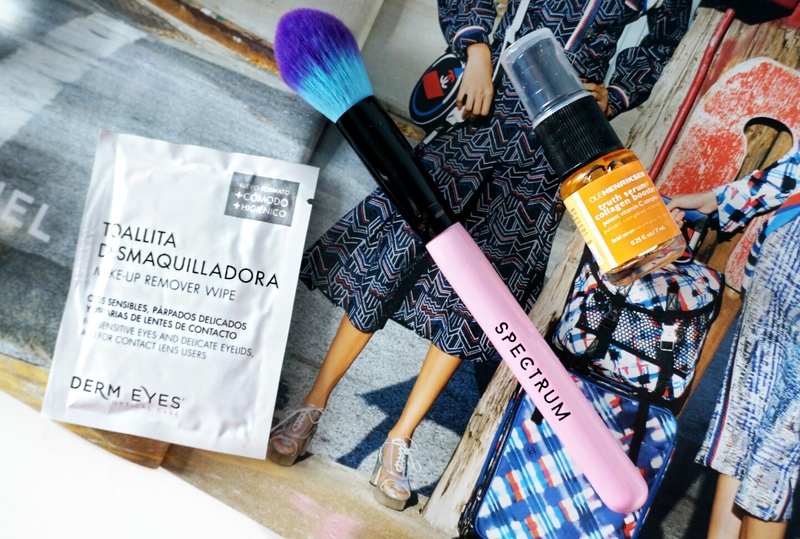 The three remaining items are the Derm Eyes Make Up Remover Wipe - a Birchbox exclusive bonus item, suitable for sensitive skin. The Spectrum Collection Tapered Powder Brush - a incredibly colourful and soft brush which I will use as an undereye setting brush. And lastly the Ole Henriksen Truth Serum Collagen Booster - contains high powered vitamin C complex to smooth fine lines, plump and protect the skin - I can't wait to use this to tackle my growing fine lines around my eyes. I've really enjoyed what I have received in this months box and can't wait to use them, What did you receive? If you not yet subscribed feel free to use my referral link here. Wow, what a great selection of products! I've tried the Ole Henriksen Truth Serum and I really enjoyed it. I love how the box came with a really nice brush as well - can never have too many of those. 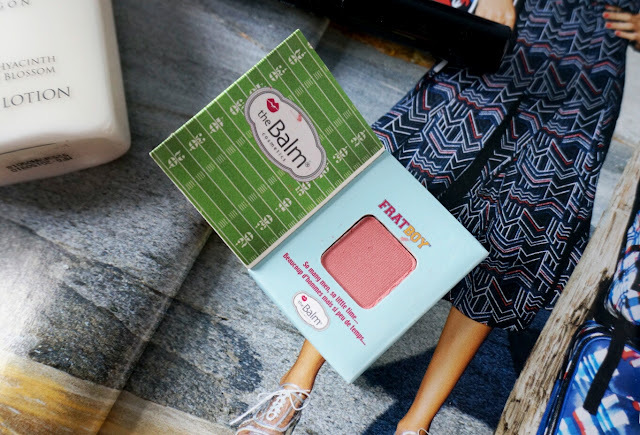 I really need to try out some The Balm products, that blush looks beautiful! I hope you had a wonderful Chinese New Year, too! I love everything in your Birchbox and I love both my Birchboxes including the Date Night Editor box which I used on Valentines'Day/Galentines Day!! I love Obessive Complusive Lip Tar which I was pleasantly surprised since its "matte" but it has peppermint oil.